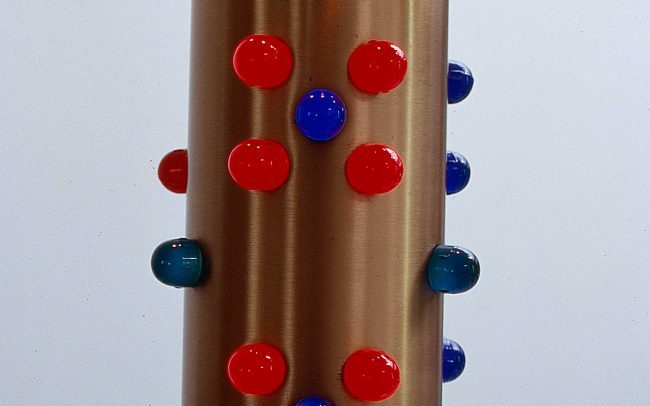 Beginning in 1989, Staller acquired a small vertical milling machine which enabled him to make these Copper and Anodized Aluminum lamps. 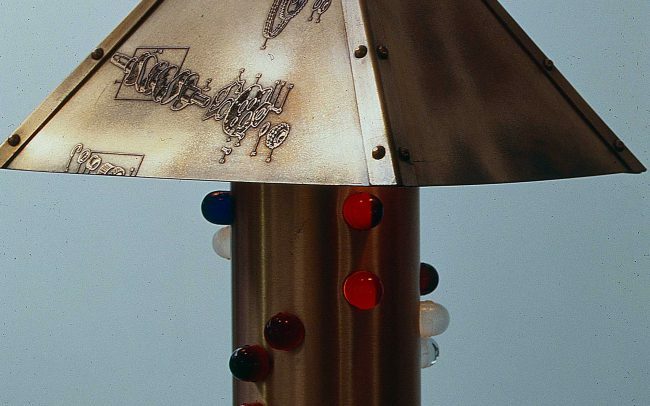 Having come across a trove of surplus marine electrical supplies which included hundreds of WW2 surplus glass pilot light lenses, Staller thought to incorporate these elements into table lamps of his own design. 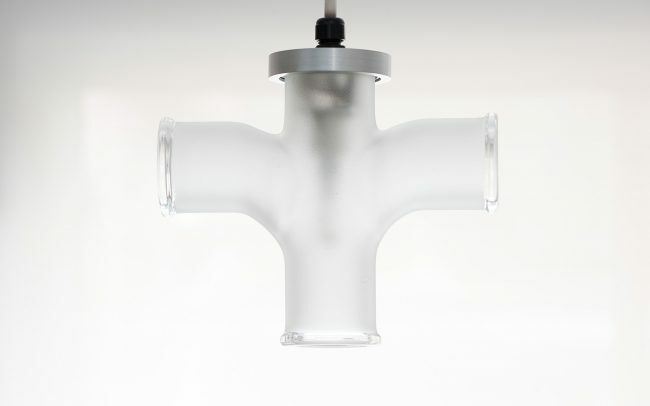 Loosely inspired by Chunk Glass lamps, Staller fit the parts into components that he machined from aluminum billet and copper pipe. 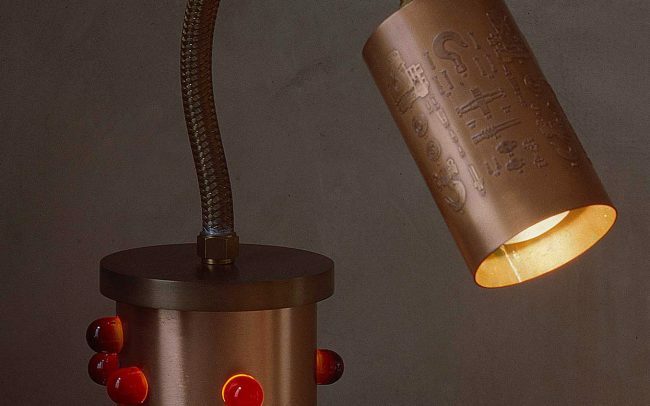 A subsequent group of lamps from 1992 had shades fabricated from actual copper printing plates of technical drawings.